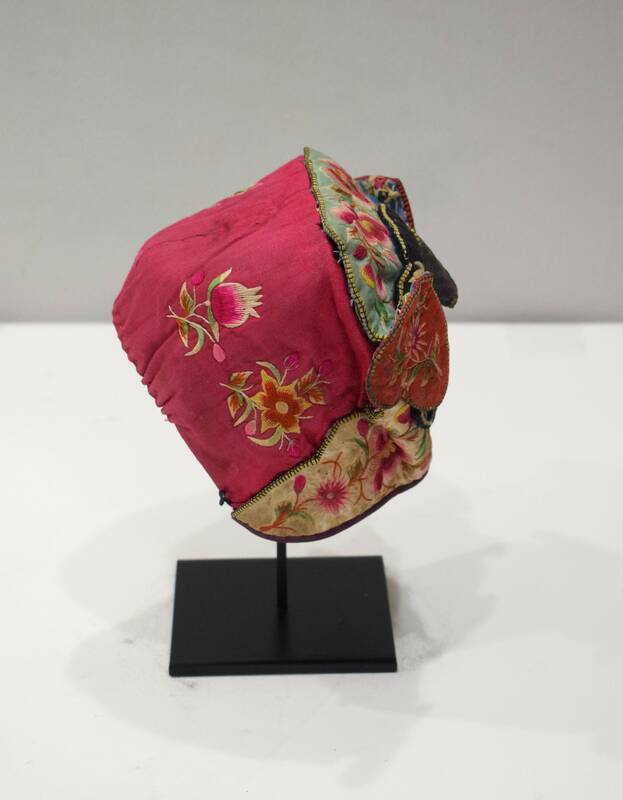 This is a magnificent Old Silk Embroidered, Handmade and Hand Sewn Chinese Baby Hat from the Yunnan Province of Southeast Asia. 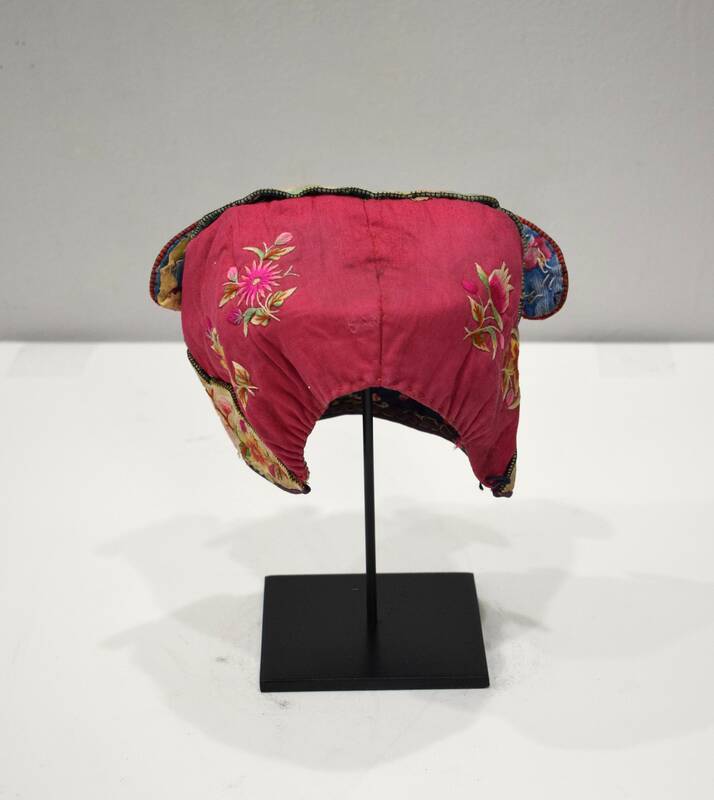 Traditionally, Chinese children wear several different styles of hats from infancy through adolescence. As babies, the hats are worn for protection against evil spirits. As the child grows older, the hats are worn to bring good fortune and success for the future. 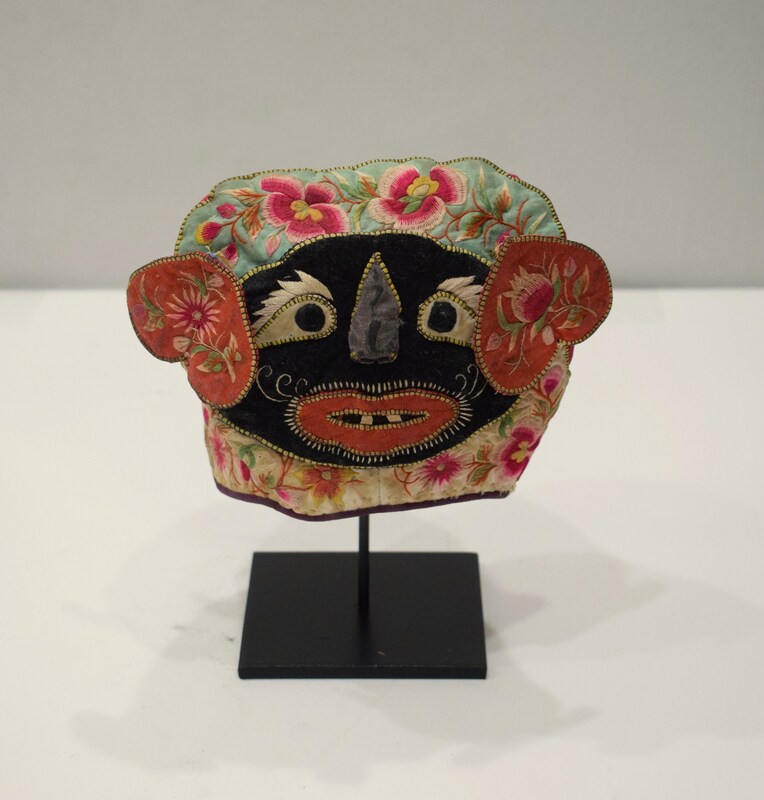 Producing an ornately decorated hat for a child was also a way to symbolically bestow a child with good wishes and moral teaching. Hats that represent animals, such as tigers, are intended to protect babies by warding off evil. 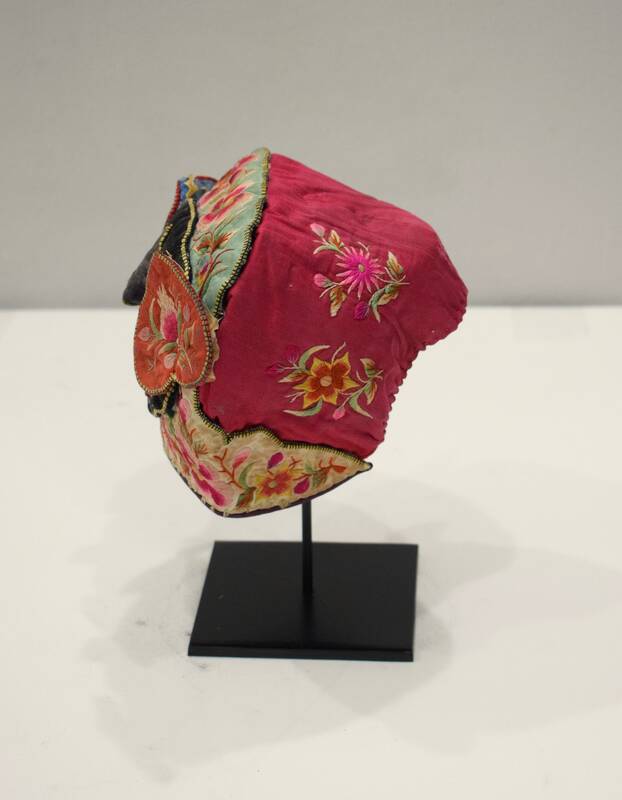 This is a beautiful baby hat with all it detail and handy work and would make a wonderful addition to your collection. Shows age, fraying and some discoloration, but overall in good condition.